The human body is a miraculous thing: we grow from tiny little cells into robust beings. Our bodies possess built-in repair mechanisms that keep our tissues and organs healthy and functioning. However, our ability to fix ourselves has limits. That’s where scientific and medical advancements come in: to help our bodies bounce back and heal from something that would otherwise be beyond our capabilities. 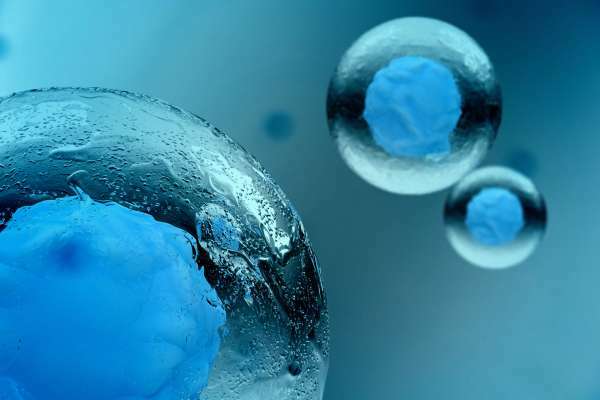 Regenerative medicine is a field of research that deals with regenerating human cells, tissues and organs, in order to bring them back to normal function. What was once an ambitious medical theory is quickly becoming a reality. A out of Osaka University in Japan has discovered a method for stem cell growth that has the potential to help treat disorders and diseases of the eye. The group discovered a method of creating various cell types in the eye using induced pluripotent stem cells and different versions of the protein laminin. Induced (discovered in 2006) are a very special type of cell that can be reprogrammed to become virtually any of the other in the human body. While we have an idea of what these cells are capable of, the specific methods surrounding how to use pluripotent stem cells to create other cells in the body is still an ongoing process of research and discovery. The Osaka University study has gotten us one step closer, illustrating that growing pluripotent stem cells on laminin proteins can induce them to become a range of eye cell types. The eye is a complex organ made of numerous different types of cells, which means that regenerative treatment varies dramatically depending on what aspect of the eye is affected. This research will empower doctors to target the specific type of eye cells required, such as corneal cells or retinal cells, opening the doors for treating a greater range of eye-related diseases. To learn more about your eyes and eye health, make an appointment at your local FYidoctors.